Exactly,I'm not sure if she is that Hecate(or something) or not. I thought Hecate(or something) has blue hair and greenish - blue eyes,but this chara had pink hair and red eyes at the beginning. She didn't even have a nose and it looked kinda weird to me. Well,she looks like that Hecate(or something) a lot now. 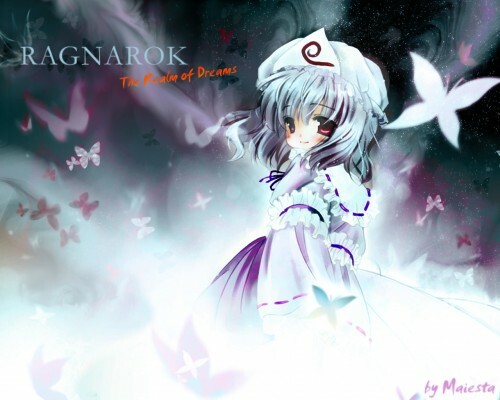 About Ragnarok : Ragnarok is the Core of a world - reality marble - whatever you call it named Omega. In Ragnarok,if you have powerful-mind,you can create everything by your imagination. Erh,I saw it in my dream...I swear!